FINALLY. I think i now have a design for my site that i really really enjoy. It’s always a struggle to find the correct method for any approach, and mostly because it is hard to personally design for myself… I’m the worst boss ever! Sahweet! I love the red line work behind it all, really sets it off. it looks really cool, but i think it smells. Hydro 08 is here!!! Hell yeah! Wow looks great so far! keep on goin strong, josh! drop me a note when its finished…I’ll prop it up on NTMY. I like it. I need to redo the header for my blog! 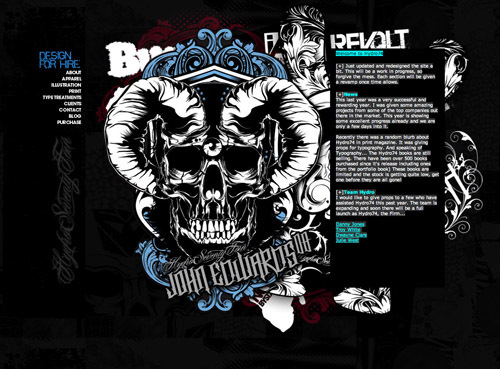 I’ve always been in to your basic layouts for your website, you always let your work speak for itself. This new layout is a bit too busy for my liking- but it still looks rad.